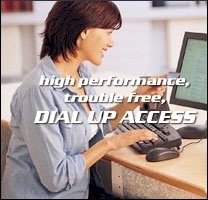 Speednet offer a variety of dial up access plans to suit most people's needs. For business customers the unlimited plans are fixed-price, with no extra charges for data or time usage, so there are no extras at billing time. We also have limited plans for our residential customers to suit the individual's needs. All rates are available nation wide, local call. All above plans incur a once-off registration Fee of $27.50 which is waived for Credit Card Payment.